Categorizing this is difficult; Krace is a closed-toe shoe, that is open & strappy on the sides like a sandal, and yet covered over the front to resemble a boot. 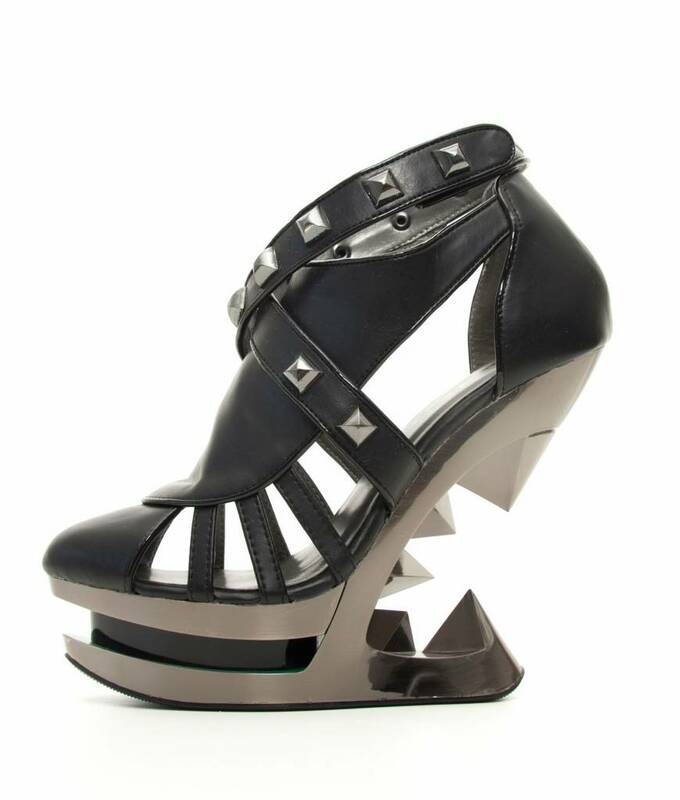 Closed toe black platform shoe with partially studded straps & designer pyramid studs. The burnished metallic sheen of the chromed iceberg wedge unit sole is definitely a focus. 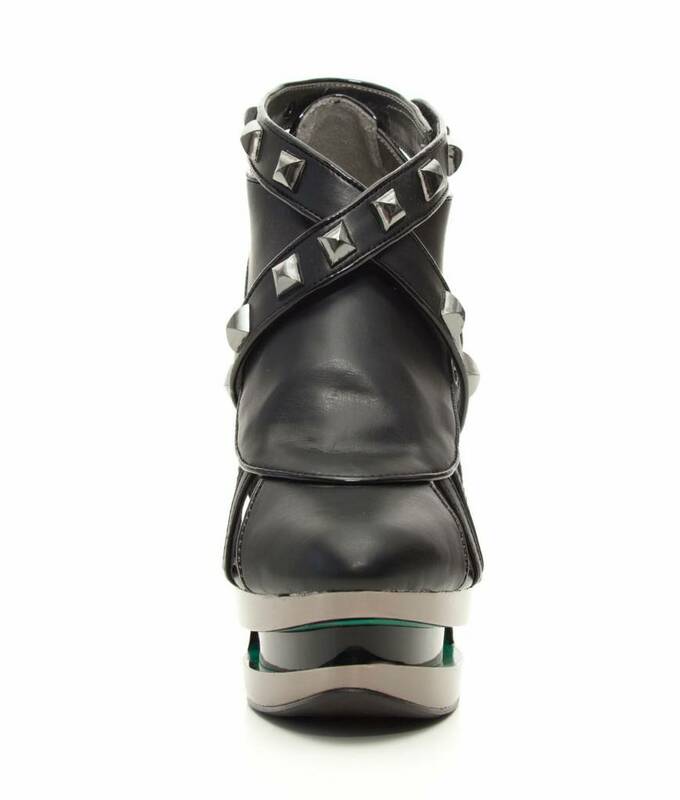 Cut-away design heel is 5" high, blending down to the 1.5" layered sole underfoot, with a channel of black sandwiched in. All vegan materials, even the glue.